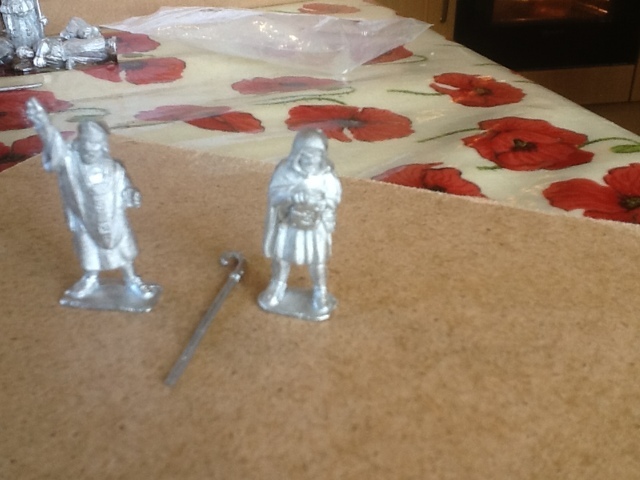 28mm Dark Ages Wargaming and Hobby Craft blog! I wanted some figures with a bit of story behind them to go along with my standard Vikings, so took at look at the fabulous figures over at Gripping Beast and grabbed their VIG11 Save us O Lord set containing a praying monk, a viking axing the monk and carrying a torch, a viking carrying a chest and a viking with a torch and a hapless dog. These superb figures scald up perfectly amongst the rest, which is no surprise as most of mine are the gripping beast plastics. 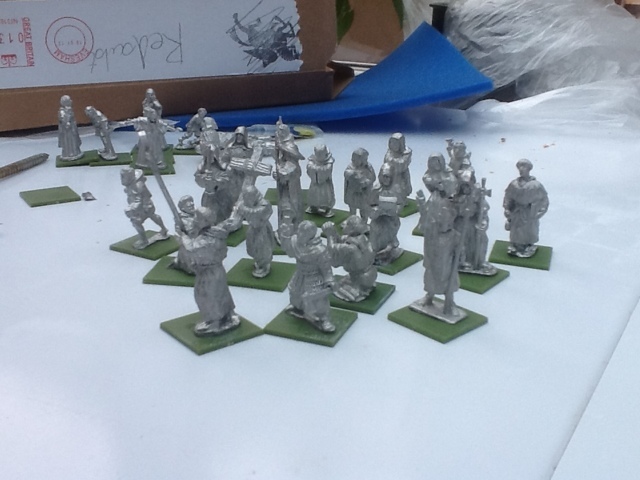 The monk in this set then spurred me on to a new idea- a scenario for Saga in which rival war bands compete to kill and enslave as many of the the Lord's flock as they can, all the while trying to show their fighting might in true Viking fashion. The scenario "Bash the Bishop" will be up soon. 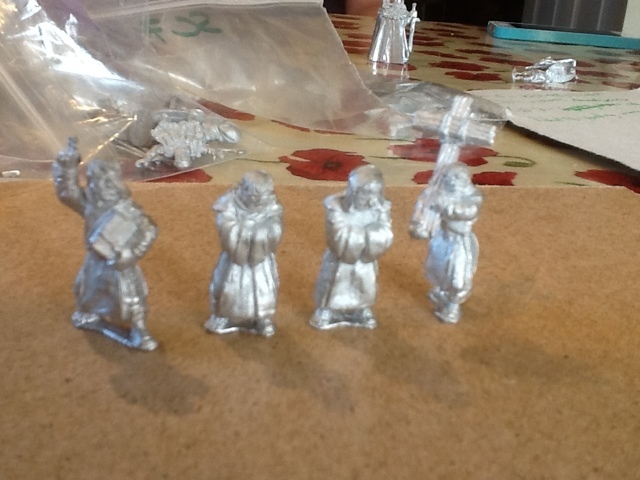 So thats a vicar looking guy, two cowled monks and a monk carrying a holy cross. This contains a senior monk in a chainmail hauberk, a hooded monk drawing a knife from his robes and two junior monks in fighting poses. Two swords, an axe and three shields are supplied to arm your holy warriors. This set was a pair and included the Bishop, his crook, and his attendant who looks particularly shady and greedy, with his hood up and gripping his Bible close. 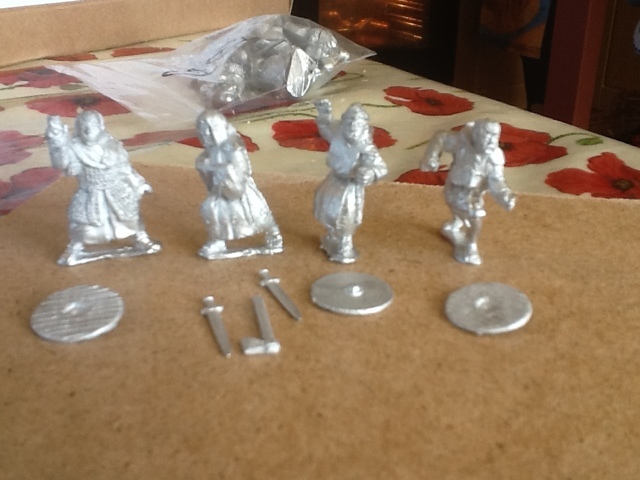 I also bought some figures from Redoubt Enterprises. I had only recently heard of this company but I am really impressed by what I recieved. In their RX28 pack, which can be found in the renaissance extras, you receive 9 monks- one of which is a dead casualty. 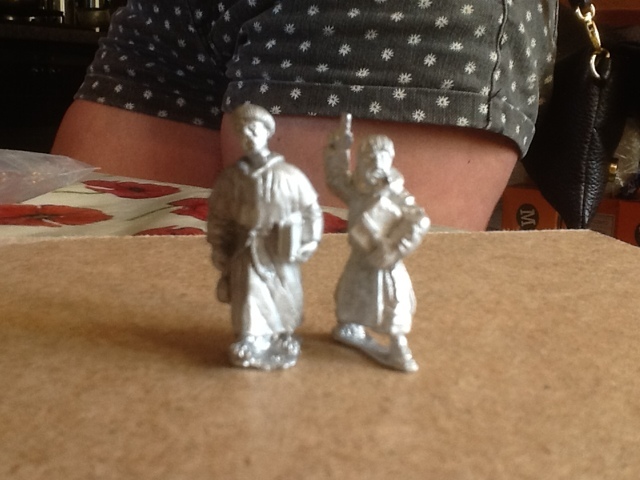 These come in a range of poses- one is carrying a cross staff, one is kneeling, one is carrying a candle, one a box etc. the detail is amazing across the lot. 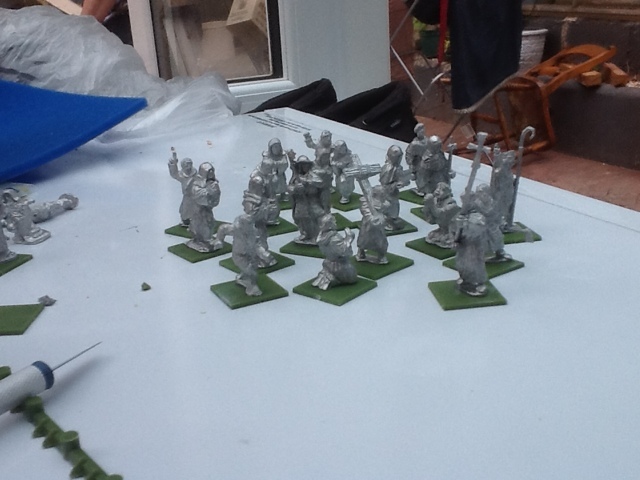 They are slightly larger than the gripping beast monks but are still realistic when ranked up or in a large rabble. ....but as you can see here they mix well in large groups. Overall I'm thoroughly impressed with both companies figures and am glad I opted to buy from a range of producers, despite the minor scale difference. 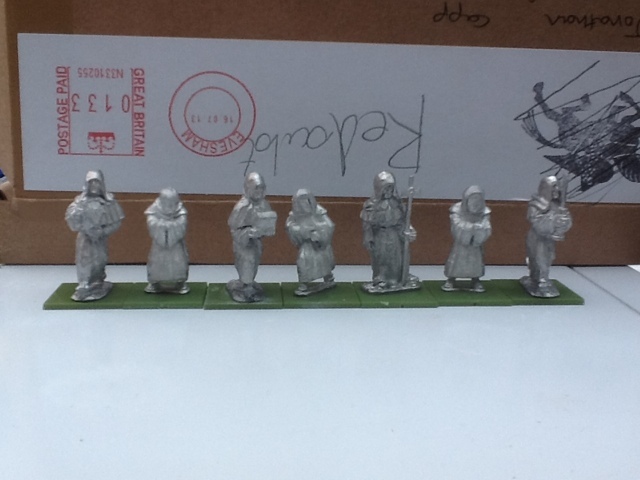 I've got some Perry Miniatures monks coming in the post at the moment so will see how they scale up next. 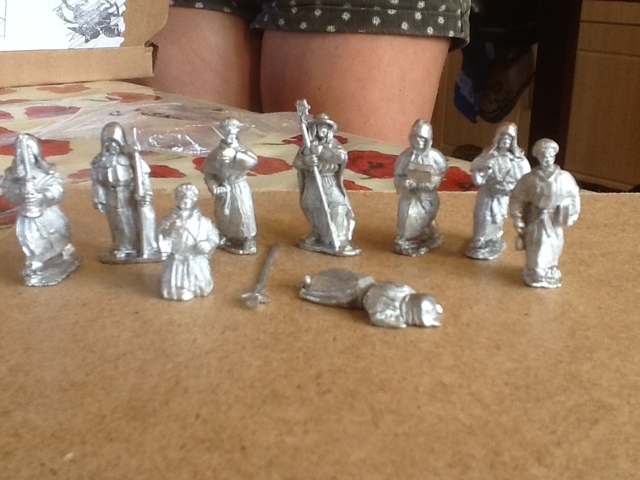 I would never have thought of dragging the Redoubt monks in with GB Dark Age stuff! 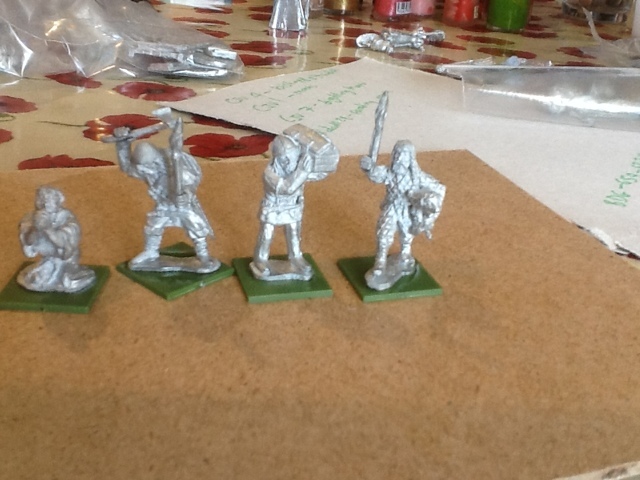 I've got quite a lot of Redoubt stuff in my ECW armies and I knew they were big. This is really handy to see a comparison with GB stuff! Thanks!